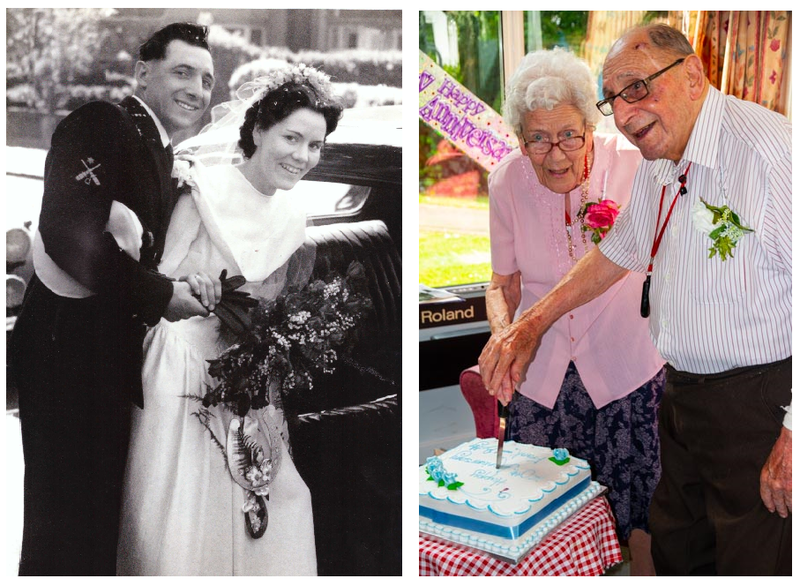 Frank and Betty Kettle, residents of Moor House care home in Staines, celebrated their 70th wedding anniversary on Tuesday (8 May). This incredible milestone was marked with a special afternoon tea party at the care home, which is run by the charity Friends of the Elderly, with their family, friends and other residents. Mr and Mrs Kettle first met when Betty was in the Girls Training Corps and Frank was in the Navy. One day Betty had been helping at the Sea Cadets and whilst washing up, Frank came in and offered to do the drying up. They got chatting and Frank asked if Betty would like to be his girlfriend. As this was during the war, Frank was spending a lot of time away with his job in the Navy so they wrote to one another almost every day whilst he was deployed. They married two years later in 1948 at Christchurch in Richmond on a sunny but windy day and Betty carried a bouquet of deep red roses with lily of the valley. They were blessed with one daughter and two granddaughters.